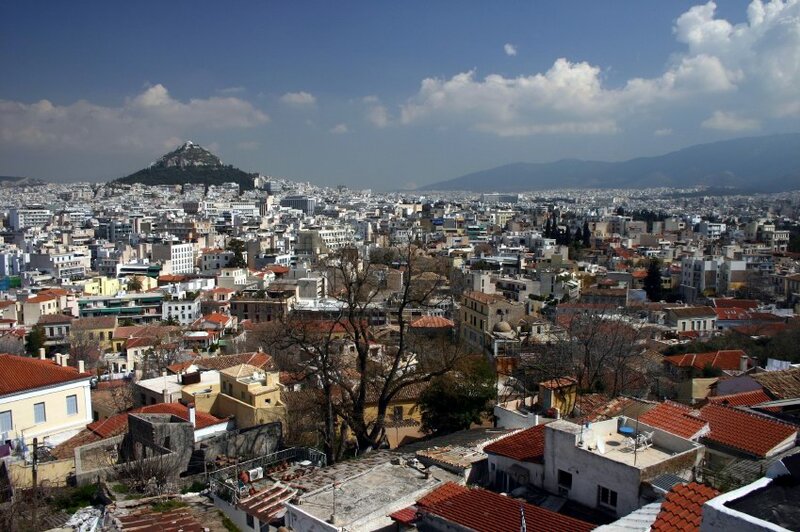 Sights in ancient Greece, and especially Athens, take on a larger importance than in most other places in the world. They are histories of democracy, Western civilization and philosophy firsthand. You can't help but walk around the Parthenon and the rest of the Acropolis and dream about the great ones who have come before you and whose footsteps you're in. Athens is a must-see on any European tour. The ancient and modern merge in this city in ways that are fascinating and sometimes overwhelming. Pollution wreathes the golden stones of the Acropolis and obscures views of the Saronic Gulf. Cars bleat and belch among ranks of concrete high-rises. But then you turn down a cobbled lane and discover vine-swathed tavernas, tortoises trundling through ancient ruins, and bazaars teeming with dusty treasures. Or perhaps you will encounter a sleek cafe, art gallery or an outdoor cinema that serves ouzo under the stars. Greece's capital has been reinventing itself; the results could not be more charming. The metro routes are extensive, and the stations dazzle with marble and antiquities. Congested downtown streets have been turned into pedestrian walkways, greatly reducing Athens' notorious smog and noise. Hotels, museums and archaeological sites have been revamped. Gentrified districts—such as Gazi—host cafes, clubs and chic restaurants, which even boast smoke-free sections. Athens' 19th-century Acropolis Museum has been replaced by a fine new Acropolis Museum that has brought 21st-century, high-tech architecture to the city in the form of a stunning exhibition space. The years since 2010 brought Greece's most severe economic crisis of modern times, together with harsh austerity measures, social unrest and even talk of defaulting and leaving the Eurozone, the 17-nation group of EU countries that use the euro as their common currency. Yet there is a built-in certainty that Greece will ride this storm as it has many others. Greeks are proud of their Olympic history, their renovated capital city and—most of all—their proven ability to surmount obstacles with flying colors. Despite the media images of frequent demonstrations and protest marches, some of which have become violent and lead to scuffles with the police, Athens should remain firmly on the travel map, prized for both its ancient charms and its modern makeover.